VINE LEAVES WELCOME MAT by Summerfield Terrace home decor, jewelry, decor, decorations, electronics, fountains, floor mats, art glass, vases, garden essentials, fireplace screens. Dress up your doorstep with this beautiful and functional welcome mat. It's made from woven coir fibers that help trap dirt and debris before they find their way inside your home. 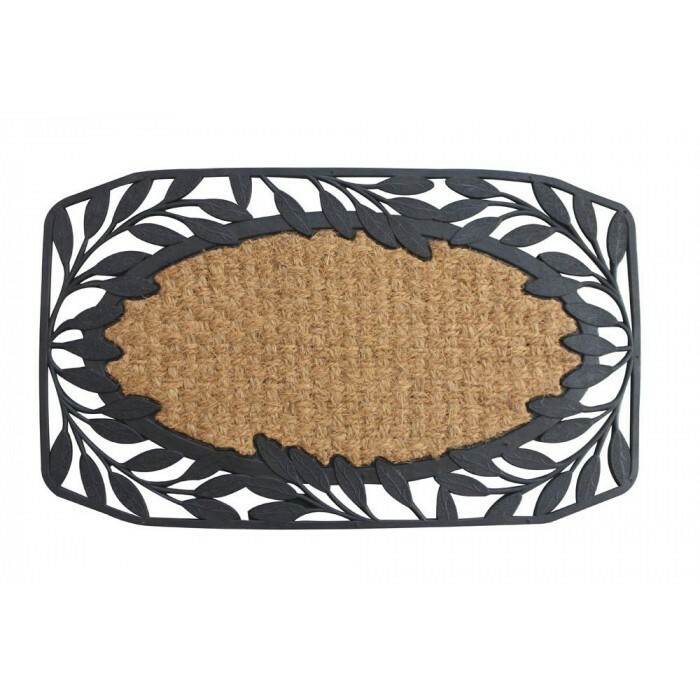 The decorative black rubber border features vines and leaves that are stylish in every season. Material(s): RUBBER COIR. Weight 3.3 pounds. Dimensions 30" x 18" x 0.875".